From Athens You should get to port in Piraeus and from there go by ferry (e.g. Blue Star, Anthi Marina, Rodanthi) to the island Patmos, change seat on ferry Nissos Kalymnos (40min.) or Lambi II which flow on Arki. You can also go by plane to one of this islands: Rhodoes, Kos, Leros then by ferry, catamaran or fly dolphin on island Patmos, from which You can sail on Arki. 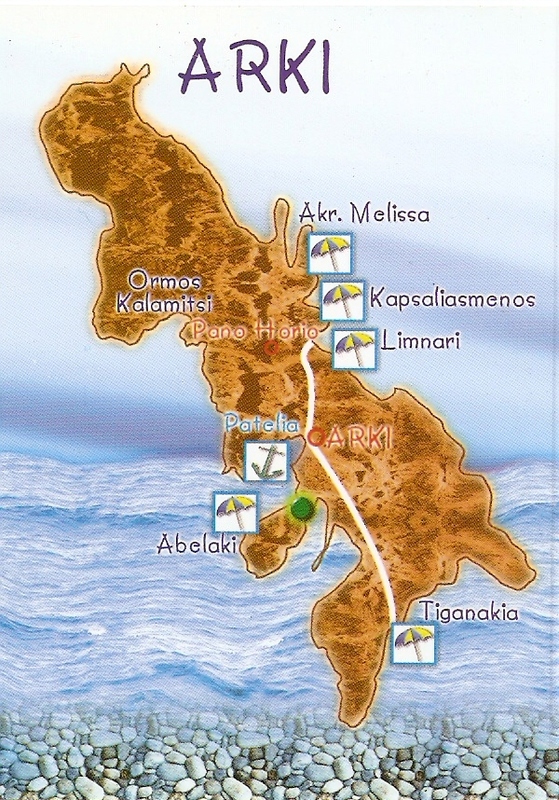 Another option is to get to the island Samos from where You can go by boat to Patmos or straight to Arki.